Maftown’s first lady of hip hop Refilwe Mooketsi aka Fifi Cooper, is the 23 year old on the verge of a big industry breakthrough. From the age of 9 she had a keen interest in hip hop becoming choir leader in primary school. From dance classes and singing, this multi-talented young lady was destined for the entertainment industry. Going on to study Media at Boston Media House in J-Sec, she often went back home to perform at Xpressions, the youth development music show in Mafikeng which earned her a spot on Mr Mo Molemi’s sophomore album, Motzamai-Rebel Without A Pause. Since then she’s featured on Molemi’s recent album Asia , Khuli Chana’s Lost in Time and Lection’s GentleMansClub’. HYPE caught up with the punch line fiend and hard spitting MC, who will be taking to the Maftown Heights stage on Friday, 28 November at Newtown Park (Opposite Bassline). 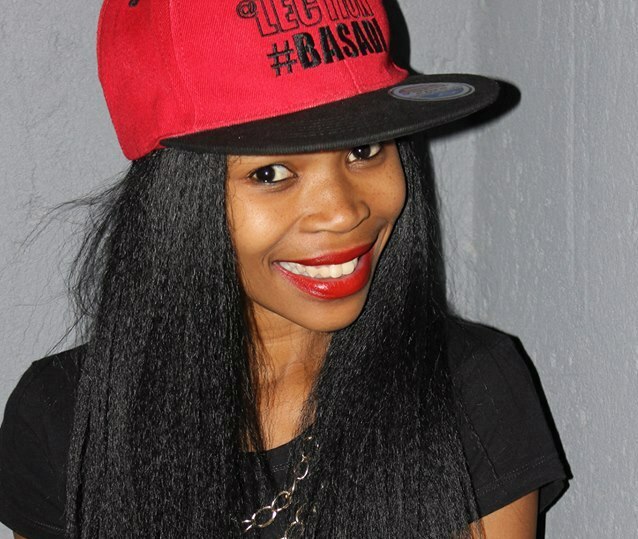 Who is Fifi Cooper and what does she stand for? I’m someone who tells stories that provoke thought and about ordinary people on the streets. As long as the music still moves my heart I will stand for all the woman out there trying to make it in any aspect of their lives without being given a chance ’cause of their gender. Your style of flow is very hard and determined. What impact are you trying to create in the industry? I am a vibrant talented artist who is passionate about her art. I’m undoubtedly a new breed of tough, talented and commercially viable female artist to hit the scene; a breath of fresh air to the South African Hip Hop. I’m also showcasing the skills woman can bring in this male dominated field. When can we expect a full length project from you? I am working towards May 2015 with a talented team of people around me. I put God first in everything i do and I know eve thing is possible with him. Although your style is classified as Motswako – is that what you’d like to be boxed in categorically? To me Motswako is a lifestyle and it brings a different genre of music and styles together. I really like to be classified as an artist with multiple talent. I have been featured on DJ Thaso’s house album and other artist not classified as Motswako . What can people expect from your upcoming performance at Maftown Heights? I’m a Motswako remedy to all attendees.